Tehran (AFP) - Iran said Wednesday it has started to modify its Arak heavy water reactor and limit plutonium output, a cause of Western concerns over the country's nuclear programme. 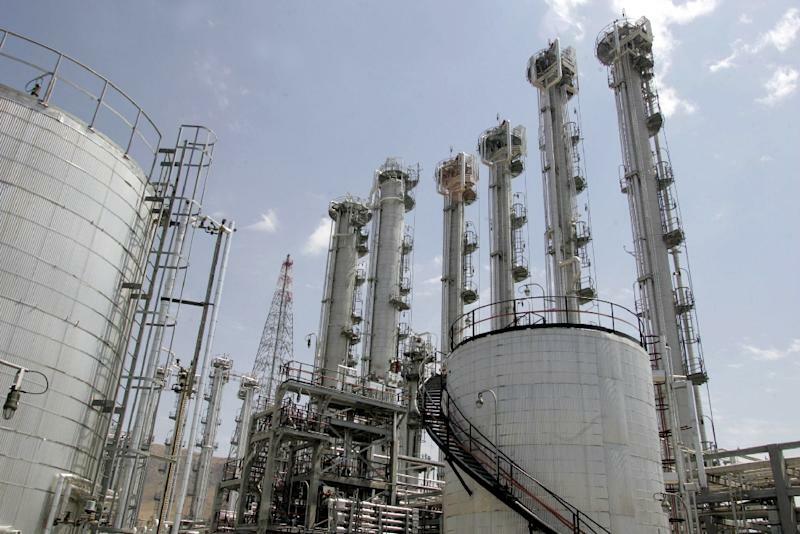 "Modification of the heart of the Arak reactor is in the process of being carried out by our experts ... to ease the worries of certain countries," said Ali Akbar Salehi, who heads Iran's nuclear programme, quoted by ISNA news agency. "Foreign ministry officials have been informed of the technical details of these modifications," Salehi said. The reactor in Arak, 240 kilometres (145 miles) southwest of Tehran, could in theory provide Iran with weapons-grade plutonium. But the 40-megawatt reactor, whose construction is being supervised by the UN nuclear watchdog, the International Atomic Energy Agency (IAEA), is solely for research purposes, notably medical, according to Tehran. Iranian officials have said its design will be modified to produce one kilogram (2.2 pounds) of plutonium a year instead of eight kilograms as originally planned. Under an interim agreement with world powers which came into effect in January, Iran agreed to scale back part of its nuclear programme in return for a partial lifting of Western sanctions. A final deal has a target date of November 24. Tehran denies Western charges that it seeks nuclear weapons, insisting it is pursuing atomic energy purely for peaceful purposes. Salehi also said Wednesday that Iran has tested its new generation of centrifuges. "The new generation IR-8 centrifuges which have been presented to the IAEA have a capacity of 24 SWU (Separative Work Unit)," a technical measure of the efficiency of enrichment, or 16 times the capacity of the current IR-1 generation, Iran's nuclear chief explained. "We have carried out technical tests and we have not yet injected gas. We are awaiting authorisation from the president," Hassan Rouhani, he said. Iran has around 19,000 centrifuges, almost 9,000 of which are first generation IR-1. Tehran says it needs 19,000 SWU capacity by 2021, meaning 8,000 of the IR-8s, and has refused Western demands to cut back the number of centrifuges for uranium enrichment.